Last Saturday Dave was hard at work on his renovation project so I took the opportunity to spend the day exploring some of the shops I’ve been meaning to visit while we’re here in Vancouver. 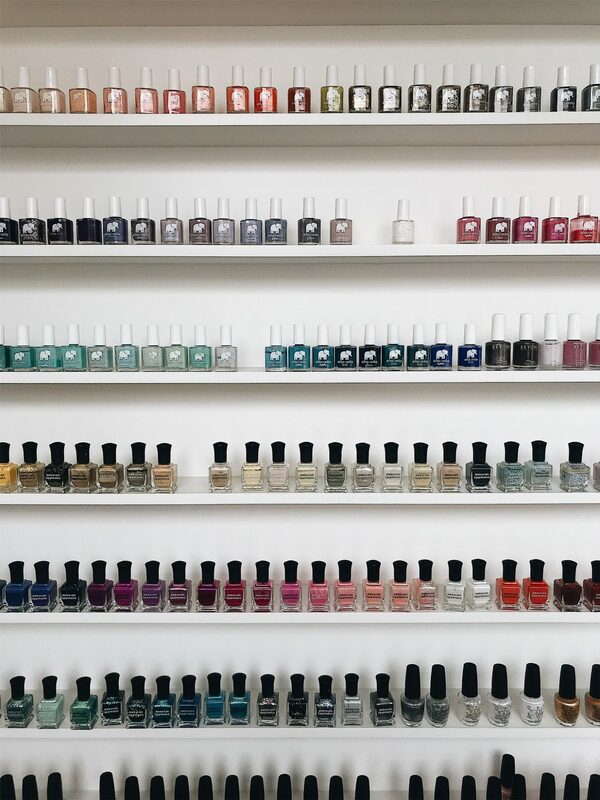 I made a list and started on West 4th in Kitsilano for a quick mani, then made my way over to Mt. 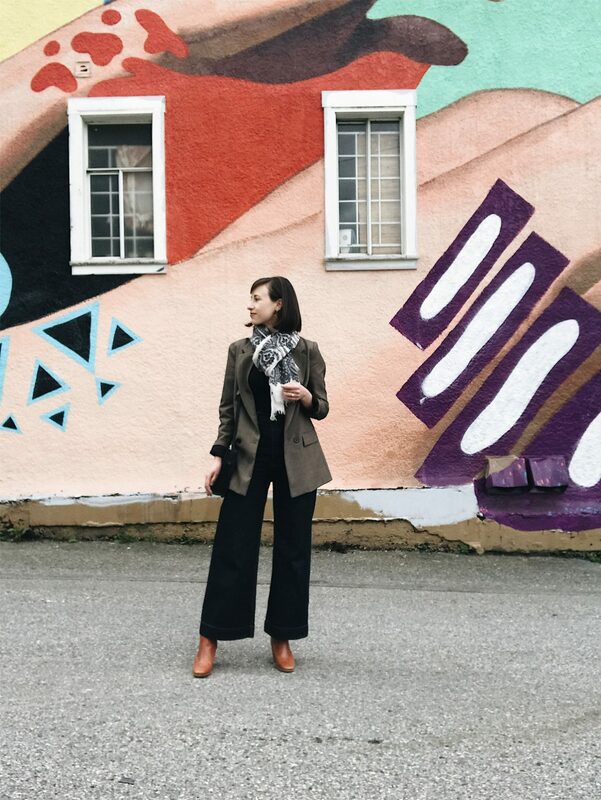 Pleasant/South Main and headed up into the heart of Gastown for a deep dive into the boutique scene. It had been a long time since I’d spent an entire afternoon store hopping and it was filled with both inspiration and temptation but I managed to hold my ground pretty darn well! I’m so glad I had the chance to see some of these beautiful spaces and meet some of the lovely folks I’ve followed on Instagram for ages. What I wore for my shop hop and why. A key takeaway from the in-store experience. All the shops I visited. 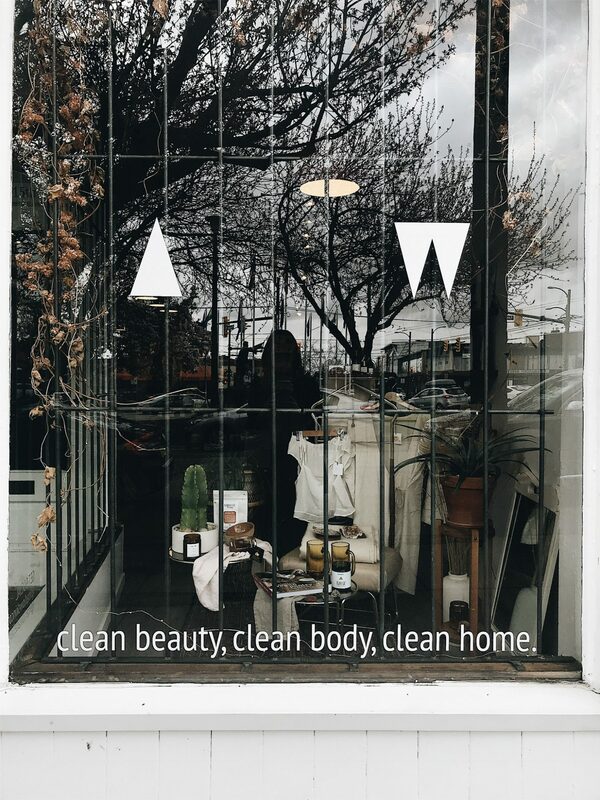 Other Vancouver shops on my list that I’ll be going to next time. BTW, this post is not sponsored. None of the shops knew I was coming by and I wasn’t gifted or offered anything in exchange for coverage or a positive review. Many, however, happen to be available through Garmentory, which I’ve linked to in case you’re not local to Vancouver. All opinions are, as always, 100% my own. Comfy Slip-On Shoes – My Mars Boots are usually a go-to exploring/shopping shoe for me because they’re comfy for stopping around in and easy to slip on an off. I wear a super thin sock in them which is also good for trying on shoes. 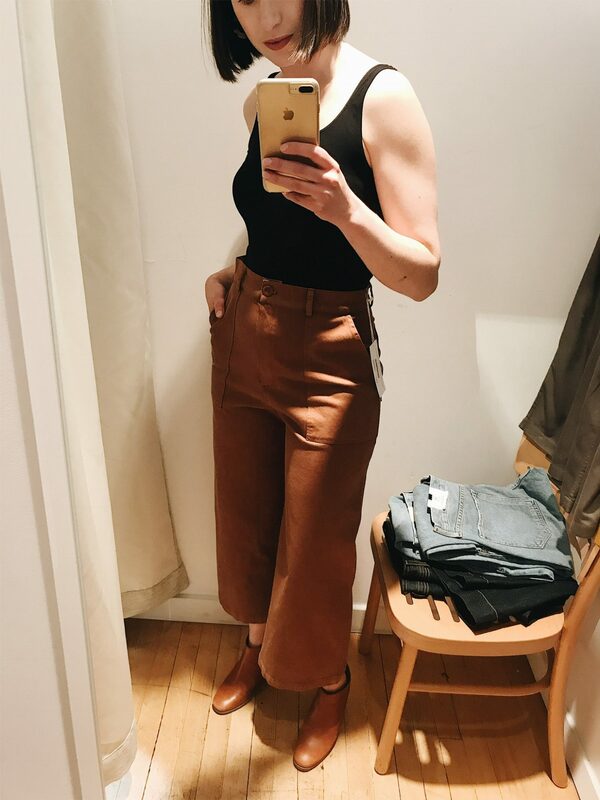 Jeans/pants I plan to wear often – I wore a pair of Kamm Pants because they’re a style I wear often and I wanted to test them out with any top or shoes I might be interested in. 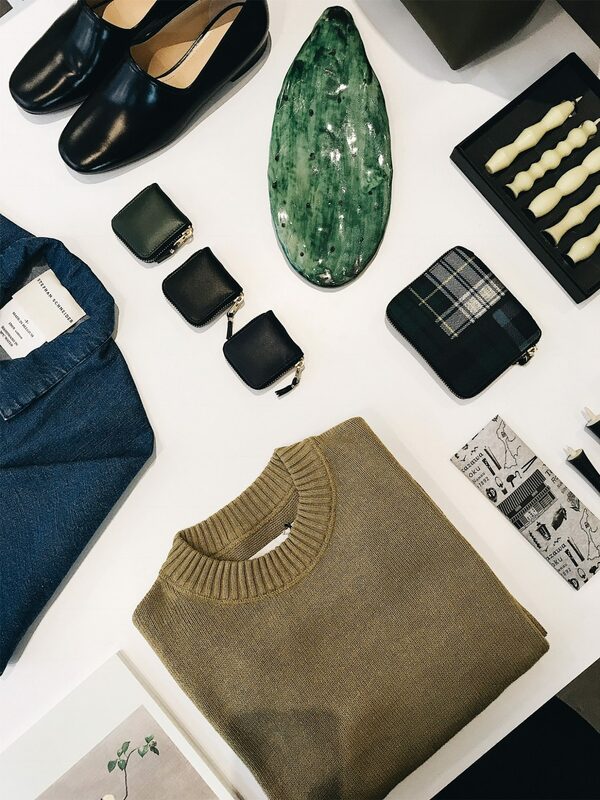 Jeans are another good option because they go with so many things. Basically, wear pants you’re comfortable in and plan to wear often! 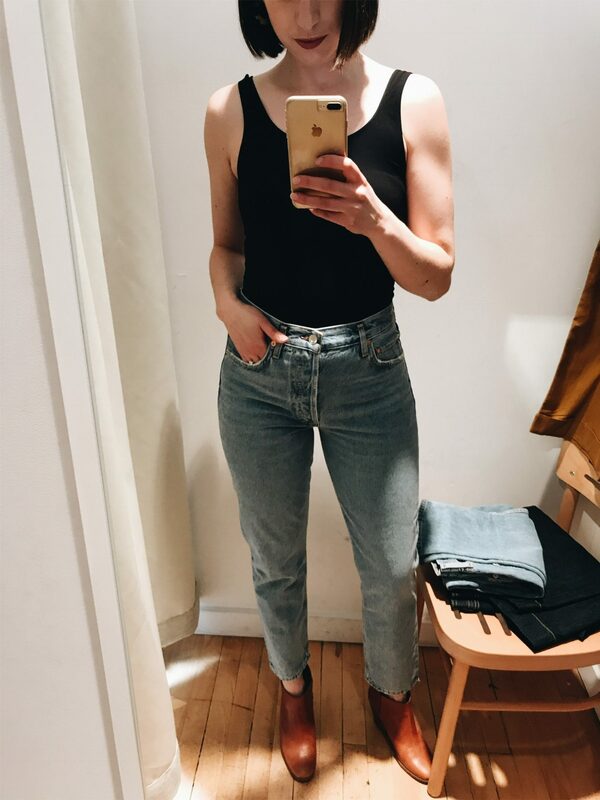 Bodysuit – A body suit is great for shopping because it’s an automatic top that fits any bottoms and is easy to keep on under loose tops, sweaters or jackets I might me inclined to test out. The one I wore is old but this one is similar and this one is on sale. A Light Jacket – I know people joke about the saying ‘Shopping is my Cardio’ but it’s kind of true! My step count was over 15,000 by the end of the day so I’m really glad I wore a light blazer (linked to an awesome vintage option) instead of anything heavy, despite it being a cool day. 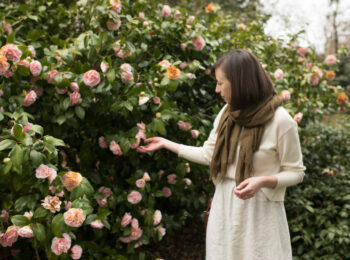 A gauzy scarf was all I needed for the windy areas to keep my neck warm. Online, I’m a stone cold killer when it comes to eliminating things, sticking to my plan and walking away from a shopping cart, but in person I find it much harder! It’s partly due to the fact that there are so many lovely things to see and I can’t put blinders on as easily. But I’ve also learned that I’m a bit of a people pleaser when it comes to face to face interactions so I sometimes find it difficult to say no in person. One store in particular had me wanting to buy something just so I didn’t let the sales person down after I’d tried on (and really liked) a bunch of things. I know, I know, it’s their job to get sizes and unbox shoes etc. but that’s the truth! I didn’t end up buying something but it was not easy to get out of there with my wallet unscathed. I’m really glad I got to try on some items and brands that I’d been hesitant to shop online due to sizing questions. This will help me a lot with future buys, especially when it comes to European brands and shoes. 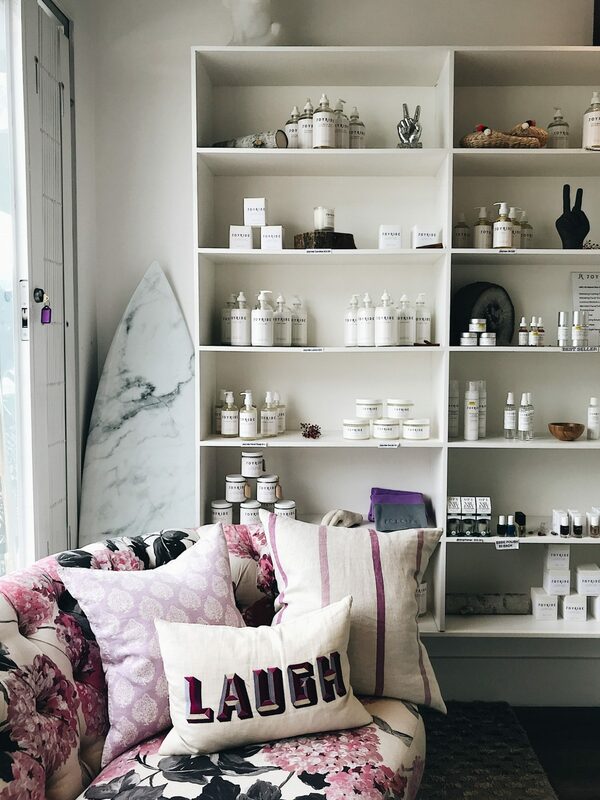 I also love seeing how different shops and boutiques style and merchandise their spaces. I think that’s probably my favourite part! 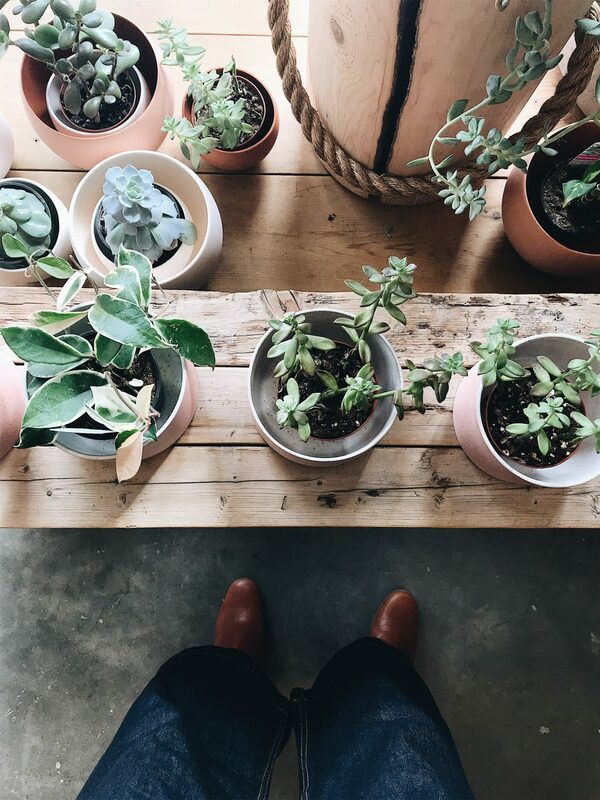 The way they mix materials, colours, plants and products gives my so many styling ideas for my own space and shoots. I was out and about by 9:30 in the morning so an almond latte was a must to get me going. I stopped into a cute café called Blondy’s near the nail salon I was waiting to open and the barista was so friendly. 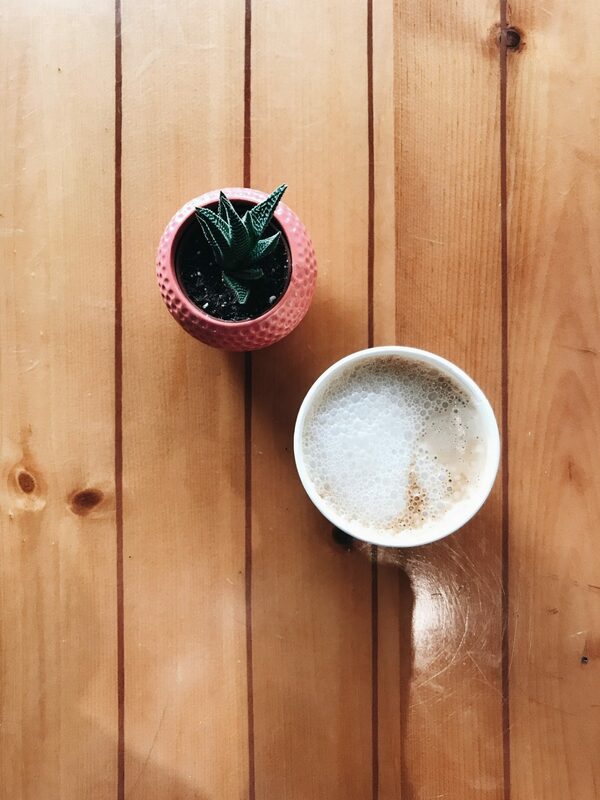 Something about a bright and welcoming coffee shop experience really sets the tone for a good day doesn’t it? Helps when the coffee is good too I guess! 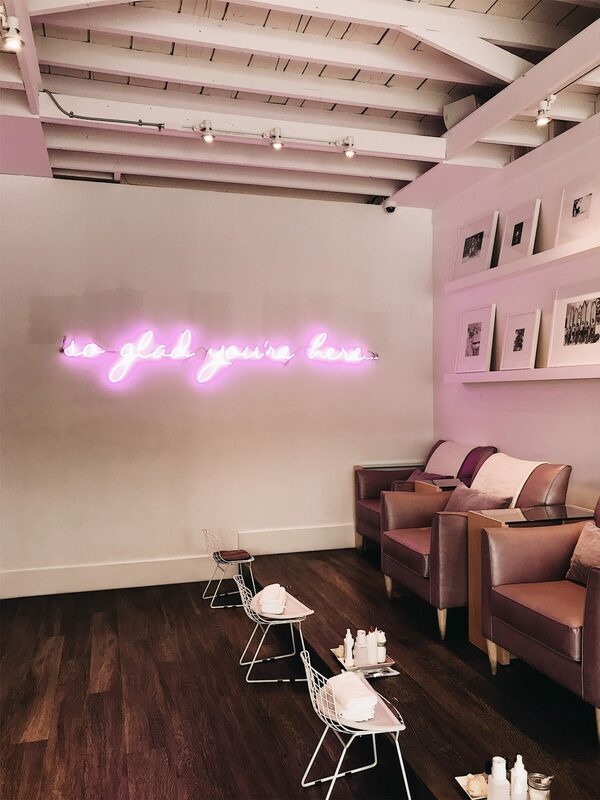 Once I had my coffee in hand, I headed into JOYRIDE for a long overdue manicure. 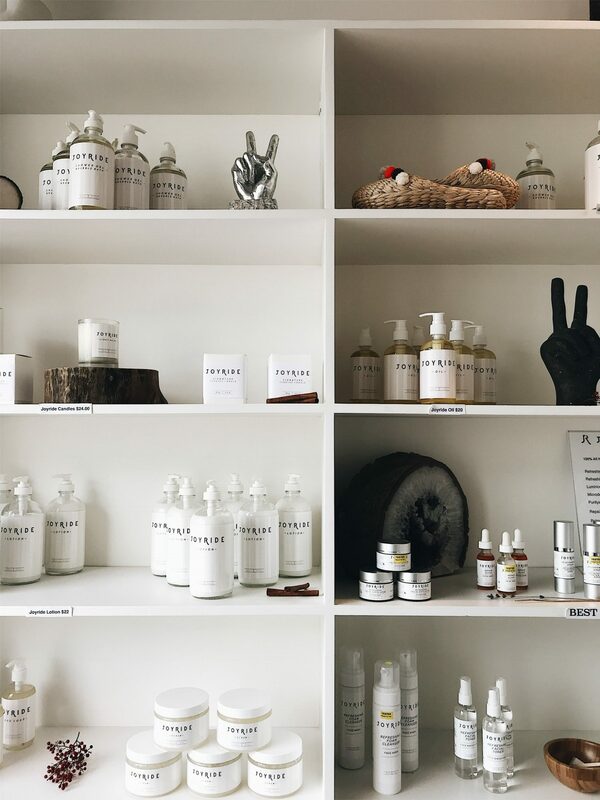 I discovered this place via good-ole-google when I was looking for a clean, fresh, boutique spot that uses natural skincare products and offers non-toxic polishes. I also discovered that JOYRIDE offers vegan gel polish, which I’d never considered before but was happy to try out. I’m not vegan but I definitely prefer to try cruelty-free options whenever possible. I was also happy to learn that vegan gels do not require acetone soaking to be removed, which is the part that actually ruins your nails. So far I’ve been very happy with the results of the vegan gel polish, which is thick, smooth and very glossy just like common gels. It’s been 5 days and there are no chips or lifting edges to speak of. 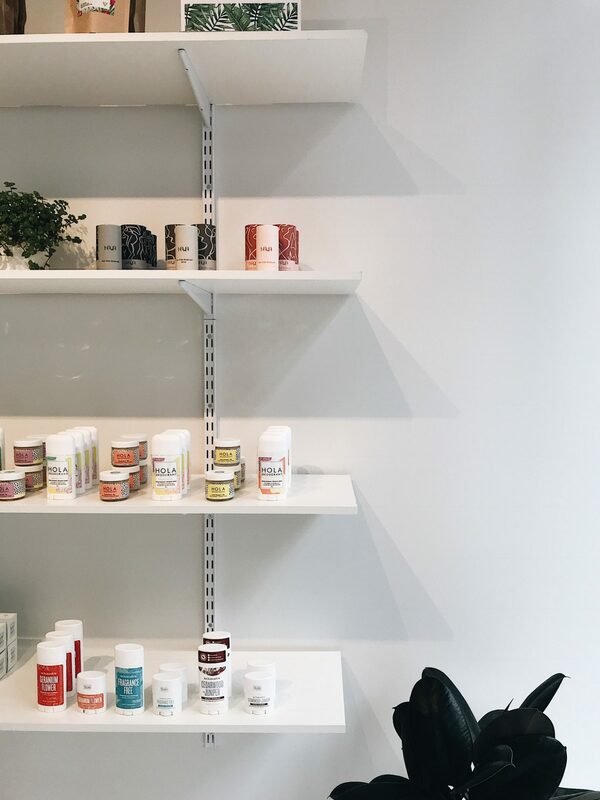 Aside from a bright, super cute space, hundreds of 3, 5 + 7-Free polish options, an in-house all-natural, organic, locally made line of products (that feel and smell amazing! ), their staff is what really stood out to me. Olga, who did my nails was highly knowledgeable about the products, friendly, super efficient, shared some tips on at home nail care (I need cuticle oil asap!) and even gave me some great leads on places to visit on Vancouver Island. The music was great and the place was just as clean as I’d hoped. The gel mani came to $45 CAD before tax which I feel is totally worth it. So if you’re in Kits and needing a mani or pedi, I’d highly recommend this spot! 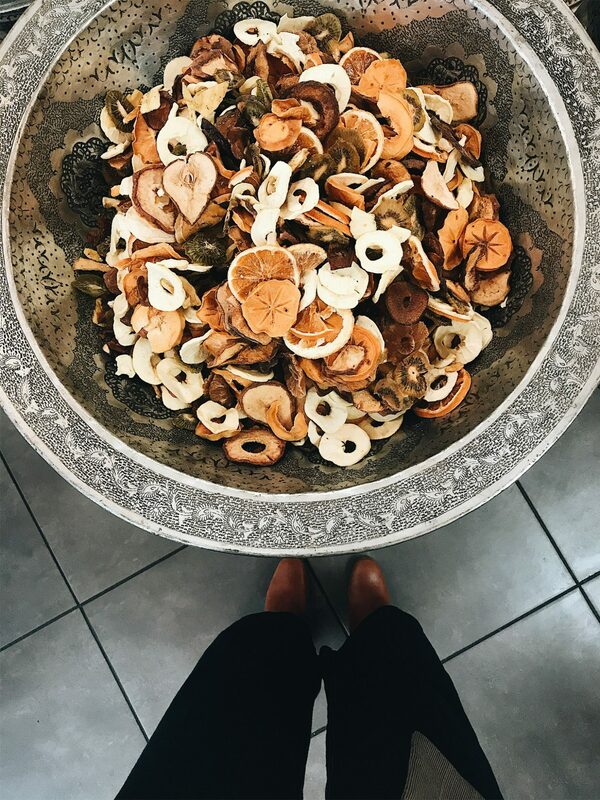 On my stroll (back to my parking spot many blocks away) I popped into Aesop for a body scrub for Dave, Ayoub’s for some dried fruits and roasted nuts and Zulu Records because I just love perusing record shops. If I’d had time I would have stopped into Patagonia but it wasn’t on my list for the day and I had to get going. I got back into the car and headed towards Mt. 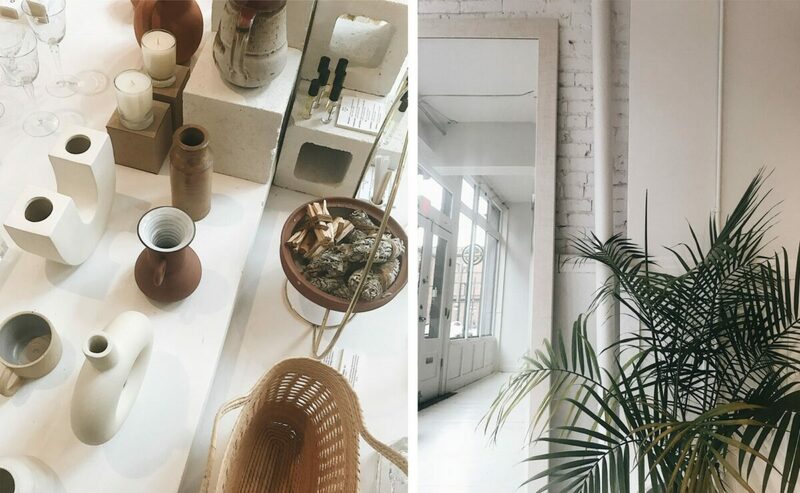 Pleasant/South Main to Harlow Atelier, a shop I’d been dying to visit since I discovered them on Instagram a while ago. 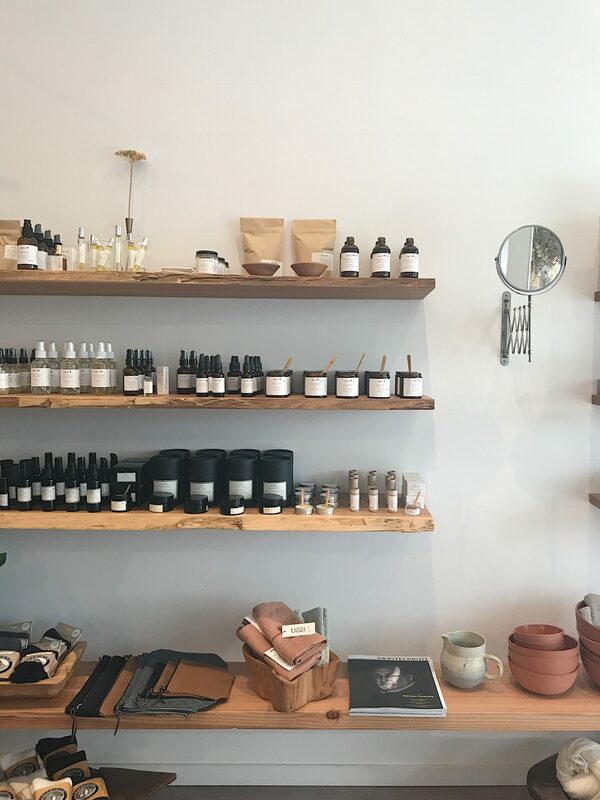 The shop was every bit as charming as I’d imagined and the walls were stocked with all kinds of natural lotions, potions, candles, books and holistic treats and rituals. Crystal the owner and developer of the shop’s namesake, made in-house, all-natural skin care line, was very knowledgeable, clearly passionate about natural beauty remedies and even lovelier than her beautiful shop. As luck (or fate? :P) would have it, there were tarot card readings being offered when I stopped in so I decided to have a little fun and see what the cards had to say. 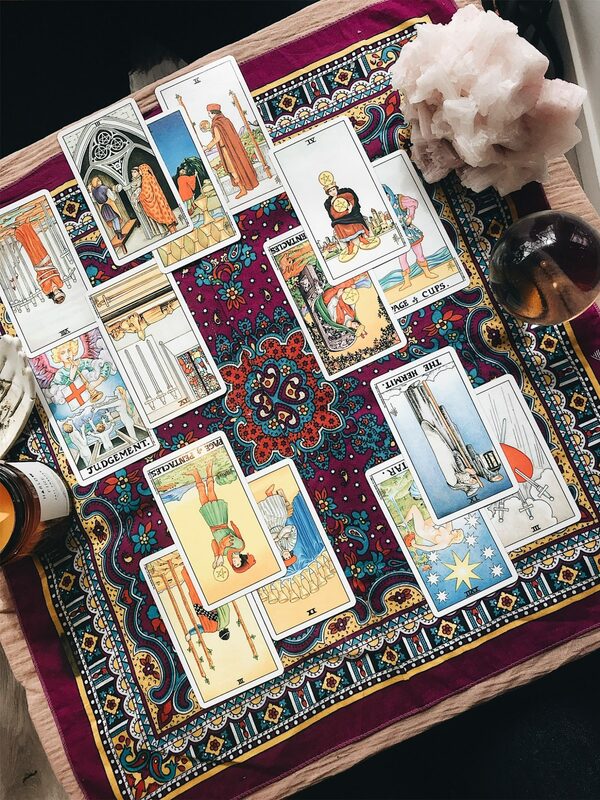 It turned out to be eerily accurate but also reaffirming and interesting to see how my own energy, plans and thoughts came through the cards. Lots of travel, collaborations, sharing of inspiration and building towards big new projects seems to be ahead! I could have spent hours sniffing every scented candle, trying all the balms, roll-ons and deliberating over incense options. 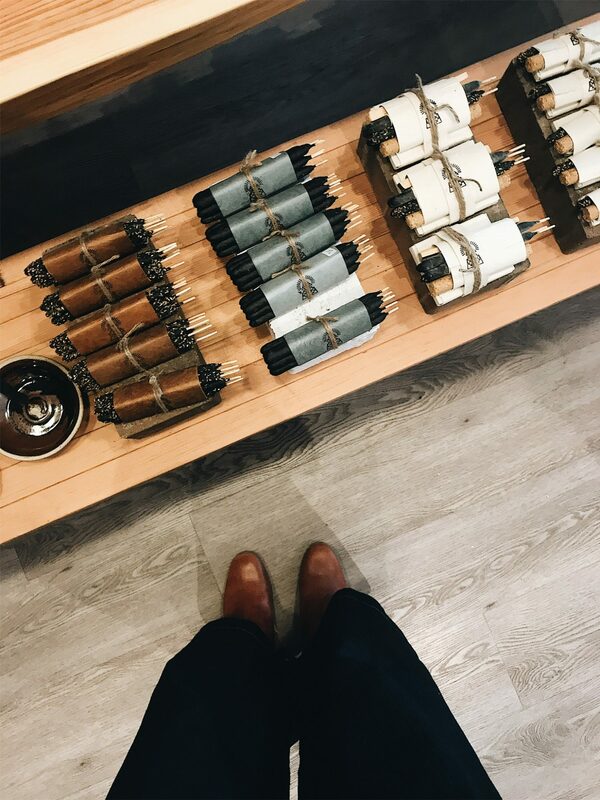 Harlow Atelier is one spot I definitely plan to stock up on goodies from before we head home! 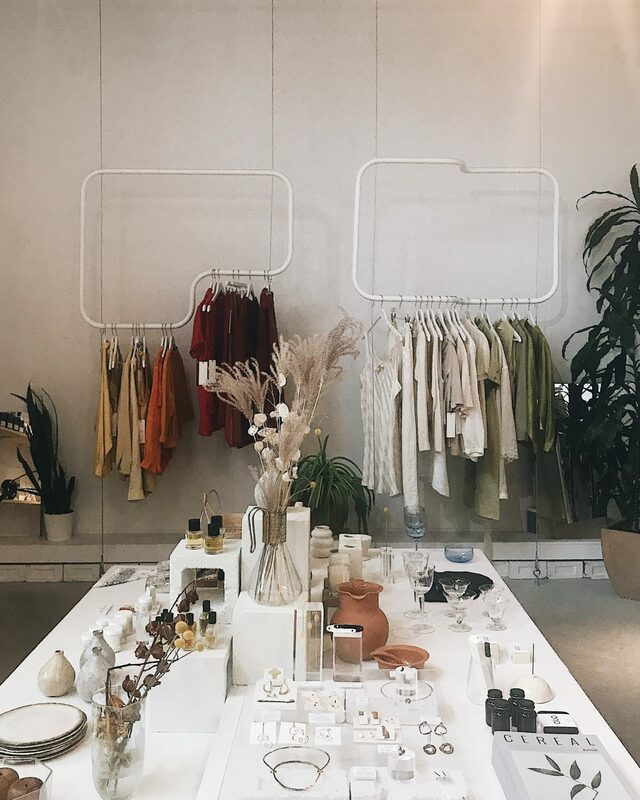 Next up was Still Life, a spot I discovered through Garmentory, which carries a slew of indie and international brands I’d been dying to try out. 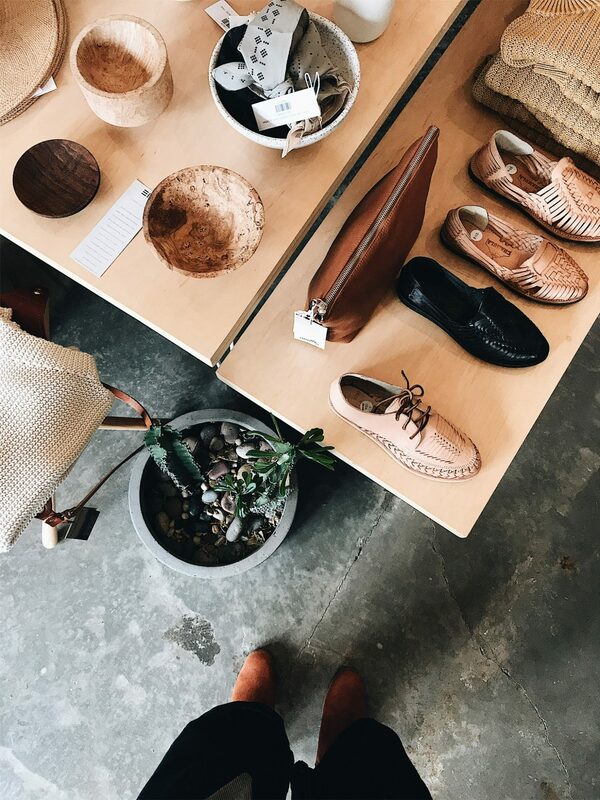 I tried on all the Paloma Wool, Intentionally Blank and St. Agni shoes they had in my size and it was very interesting to see the lines in person and appreciate the craftsmanship and details. I also tried on some First Rite jumpsuits and trousers, Ali Golden pants and Agolde denim. I would have happily tried on lots of other pieces like OZMA and Micaela Greg but I was doing my best to stick to my wish list! 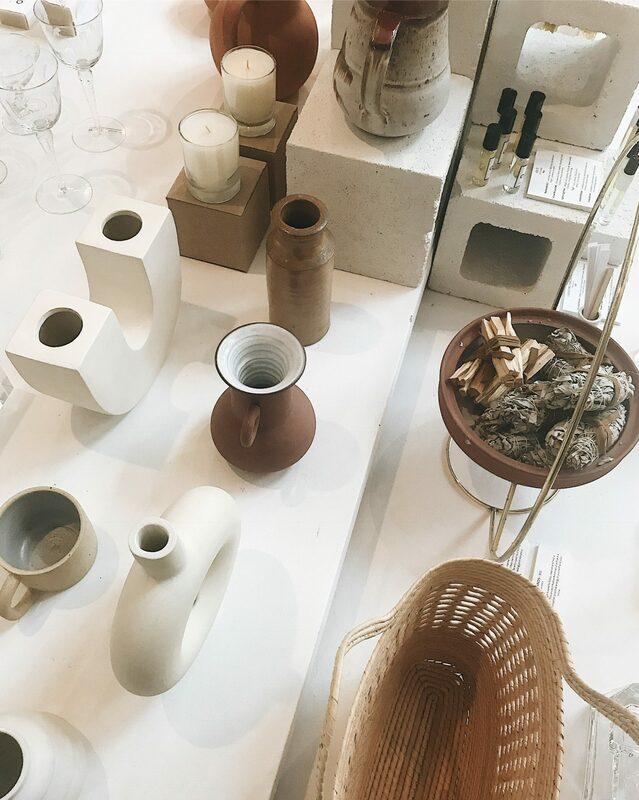 The shop was definitely beautiful and stocked full of lovely goodies but if I’m totally honest, I found it a little impersonal and trend focused. The staff was friendly and helpful but not terribly knowledgeable about all the brands I was asking about but don’t get me wrong, I’m so glad I went in. 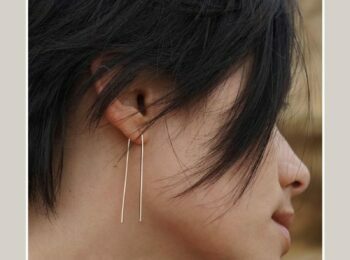 Now I’ve got a much better sense of sizing for when I’m ready to order or pick up some new pieces. You can scroll down for the sizes I found were a good fit. Paloma Wool Shoes: Size 38 fits a US7/7.5 quite well but they run slightly wide on my narrow instep. St. Agni Paris Mules: Size 38 fits a US 7/7.5 quite well but is also a touch loose through the width on me. 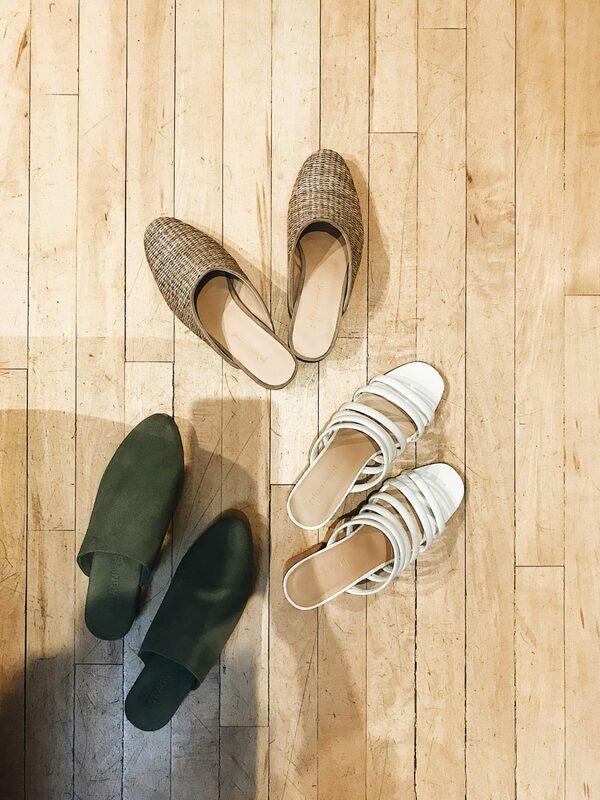 Apparently the woven mules run a full size smaller so keep that in mind when ordering. 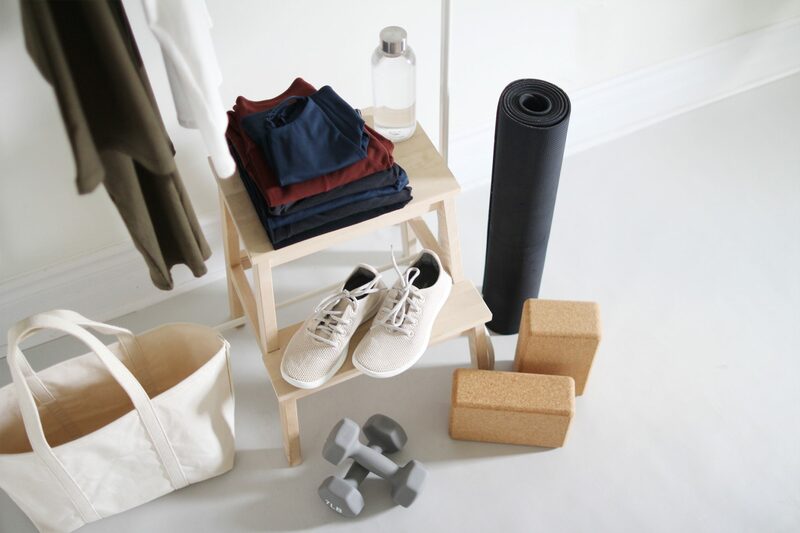 Intentionally Blank: runs TTS and comes in US whole sizes. These are the First Rite Cargo Trouser in Adobe and they run TTS when usually this line is a touch small. I am wearing the M in the photo above and they were too big. I tried the Small on at a different shop and they fit perfectly but weren’t available in the Adobe colour. 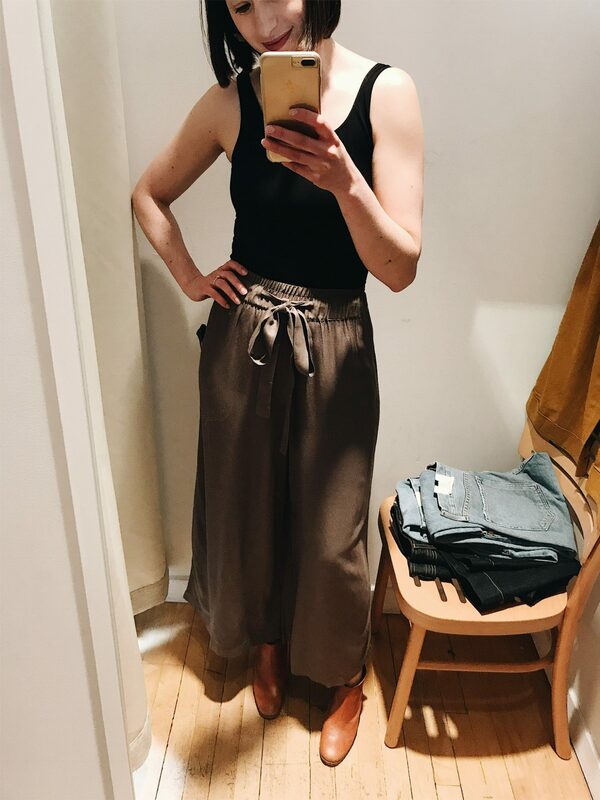 These Ali Golden drawstring pants were not on my wish list but I loved the colour, fabric and style so I tried them on and the small fit precisely how I’d like them to. They are seriously SO GOOD and I kind of wish I’d bought them now but I’ll stick with my Florence Silk pants for nthe time being. 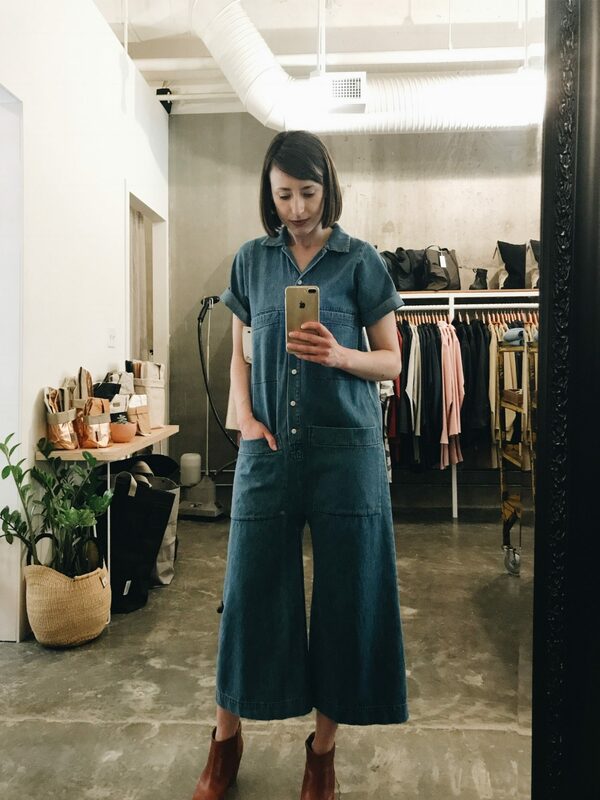 I am however considering the Jumpsuit and theSkirtversion of these pants. I’ve wanted to try the AGOLDE Jamie High Rise Jeans for so long and finally got the chance at Still Life, where by the way, you can find lots of AGOLDE styles. The 27 fit great through the leg and hip but would need tailoring at the waist. The denim was super soft and the wash was just right, light and worn in but not too whiskered or distressed. They hit at the perfect cropped spot on the ankle. These are definitely still on my radar. My next stop took me up to Chinatown to Charlie & Lee (shown in photo above), a shop I’ve admired from afar for years and it did not disappoint! It is chock-full of all the best indie labels, both local and international. It was actually a lot to take in all at once but the space is well-organized and beautifully laid out in a casual way. Such a treat for the eyes, nose and fingertips. While I was there I ran into the amazing Kelsey of Bare Knitwear and it was so great to meet in person and hear about her upcoming trip to Peru. I admire Kelsey so much and trust me when I say she’s up to some amazing things! 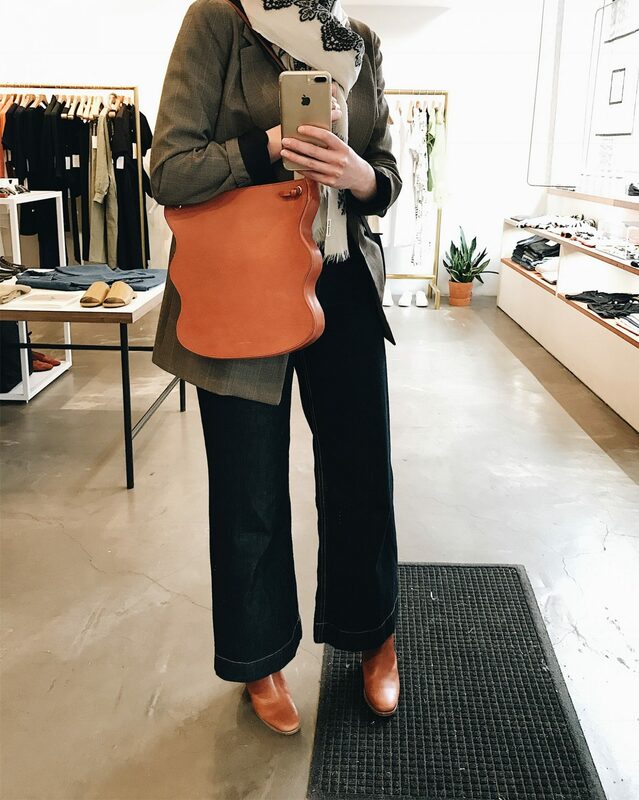 After trying on lots of vintage Levi’s, Illesteva sunnies, Ilana Kohn jumpsuits, some Osborn mules and more First Rite pieces, I ogled all the new bags by The Stowe and Vere Verto. There is certainly no shortage of gems to be found here! 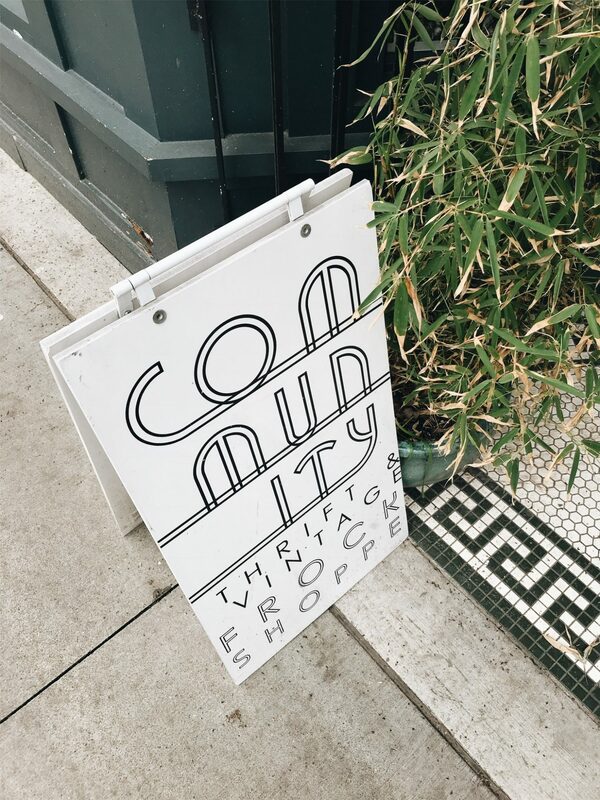 I zipped into Community for a quick perusal of their vintage and to see if there was any thrifting gold waiting to be found. Sadly, afternoon was disappearing and I was eager to check out a few more places before heading home so I didn’t have long to spend here but they have lots of button ups in silky fabrics if you’re after something like that! This shop wasn’t initially on my list either but it drew me in on my way to Lynn Steven. Everything was so beautiful and expertly merchandised. 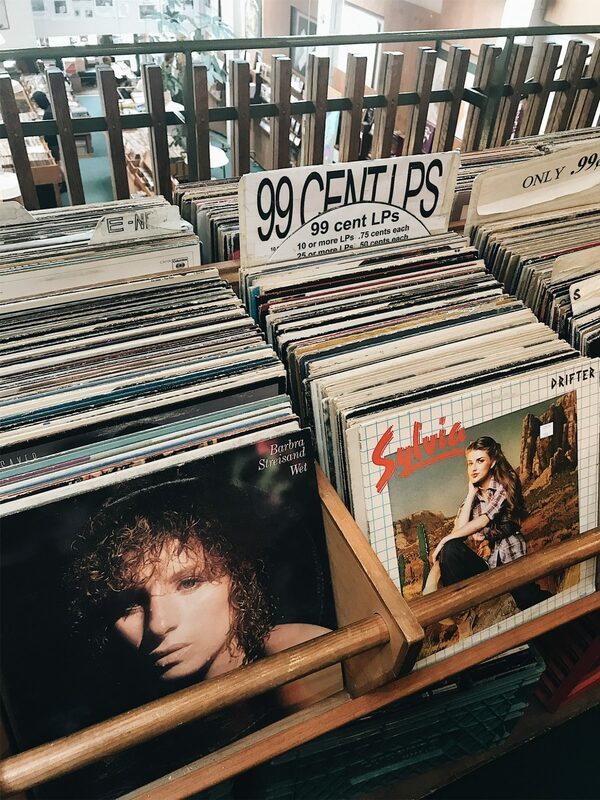 I love when a shop feels open and you can actually see everything without forcing your way through jammed racks but it can also feel a little…pretentious. That said, it was the first time I’d seen Mansur Gavriel bags in person and ERMAHGERD are they ever stunning. Truly wearable works of art. See the Ocean Bag below for proof. It’s safe to say you could drain your savings account in a hurry here. 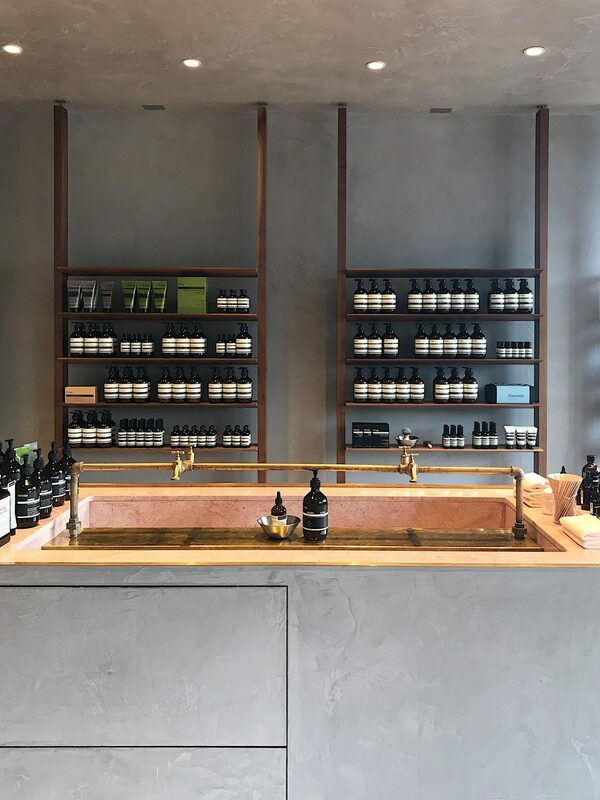 My second last stop was Lynn Steven, a newly relocated and renovated boutique for clean, natural and sustainable beauty and skin care products. 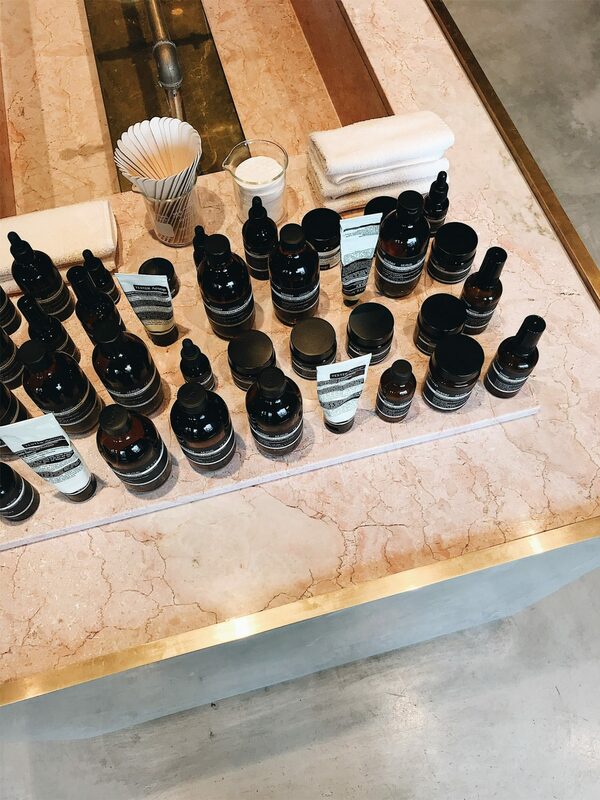 I had the BEST time in this beautiful, naturally bright, open space, revisiting all the brands I know and love while discovering new ones. A very lovely and highly knowledgeable woman (whose name escapes me, sorry!) answered all my questions and helped me test out some great products. Along with samples of SAPPHO Foundation in Lisa and Rachel tones to try out. 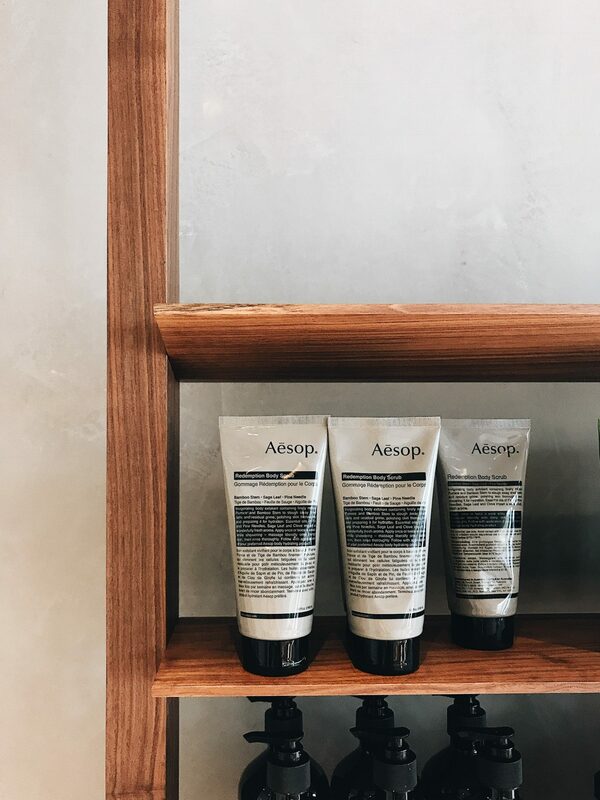 You can shop everything online and be sure to follow along on Instagram for daily product details and expert info on what makes each one special. They really know their stuff! 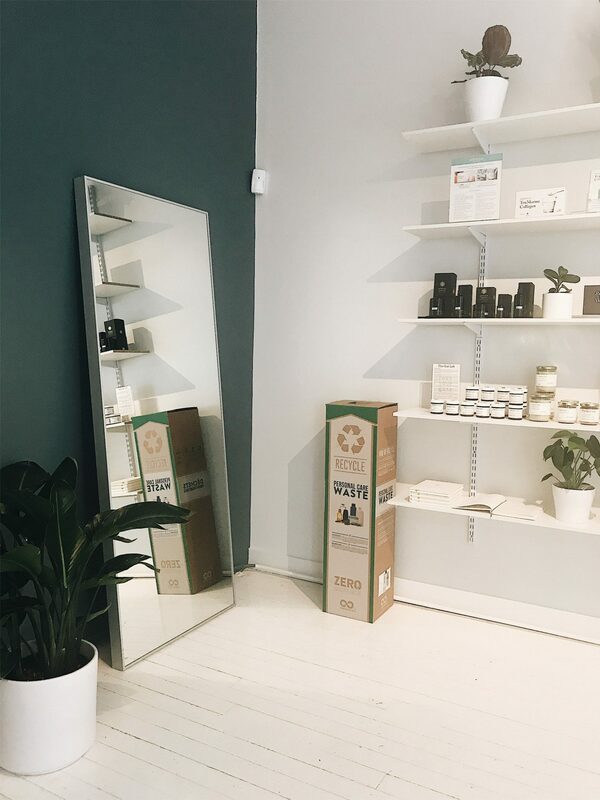 Another awesome sustainable offering from Lynn Steven is a drop off box for finished skin care and beauty product packaging so it can be recycled or disposed of properly. So smart and helpful! My last stop before calling it a day was yet another dreamy space I could have gladly toured for much longer, Hey Jude. It’s no surprise that a shop with such a name is filled with vintage treasures and charming details at every turn. 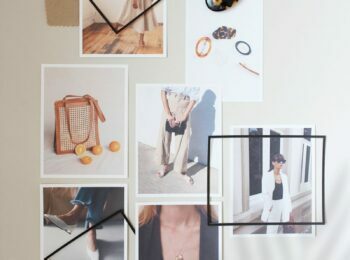 If you’re looking for expertly curated vintage finds, great gifts, home wares, tons of vintage Levi’s (I found a pair for myself! 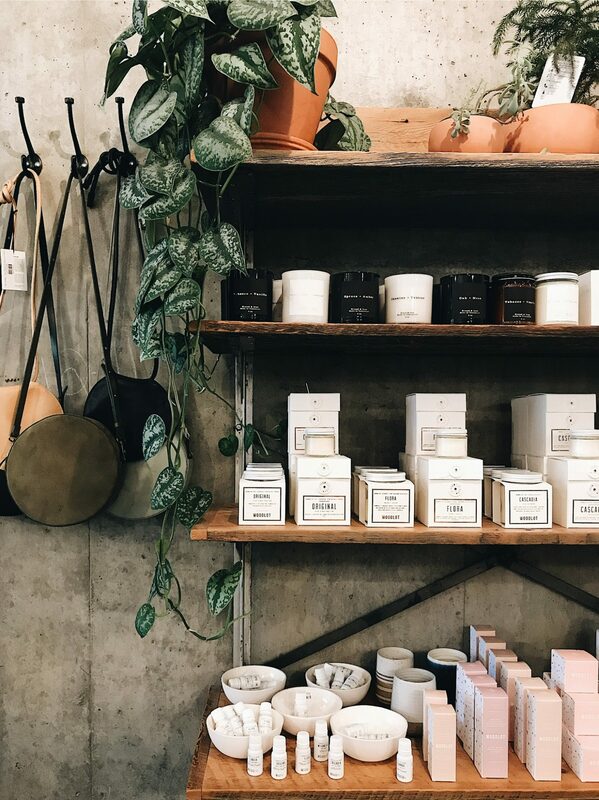 ), beautiful vessels, natural beauty, small-batch fragrance, candles galore and all the Are Studio bags you can dream of, definitely stop in! I’ll be back for a few goodies before our trip is over for sure. I’m planning to get one more solid day of shop touring in before we head back east and these are a few of the spots I’m hoping to see. 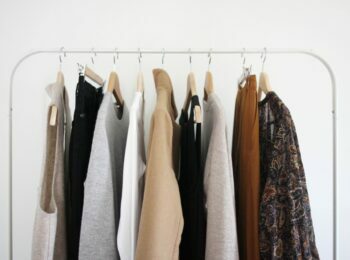 One of A Few (Gastown) | For all the indie label goodness of Rachel Comey, Martiniano, Black Crane, Building Block etc. 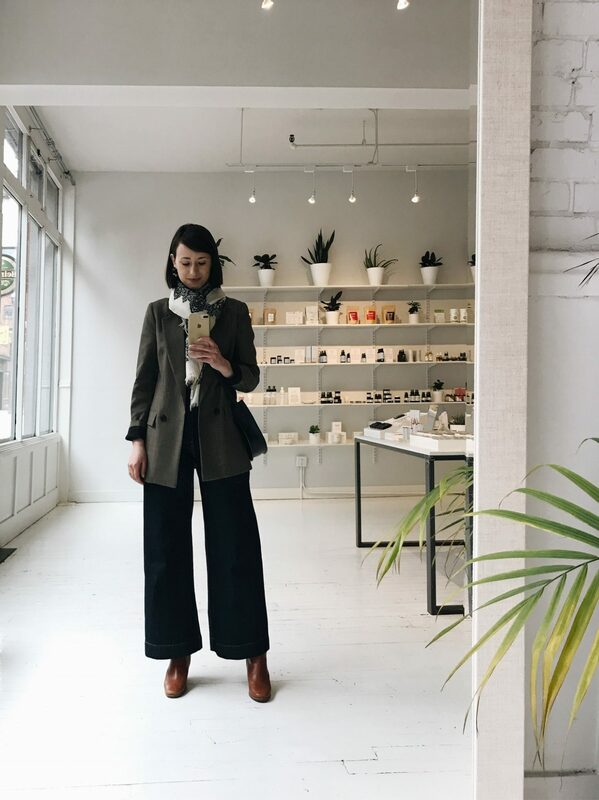 Nettle’s Tale (Gastown) | For a new suit to bring with me to Europe and wear all summer. ARC Apparel (Gastown) | For responsibly made goodness. 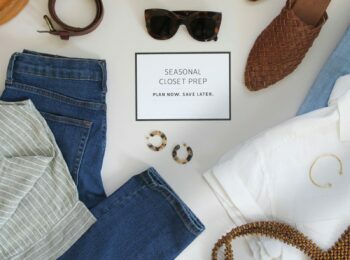 Park & Fifth (Gastown) | For locally made and sustainably sourced formal options for a couple of weddings this summer. 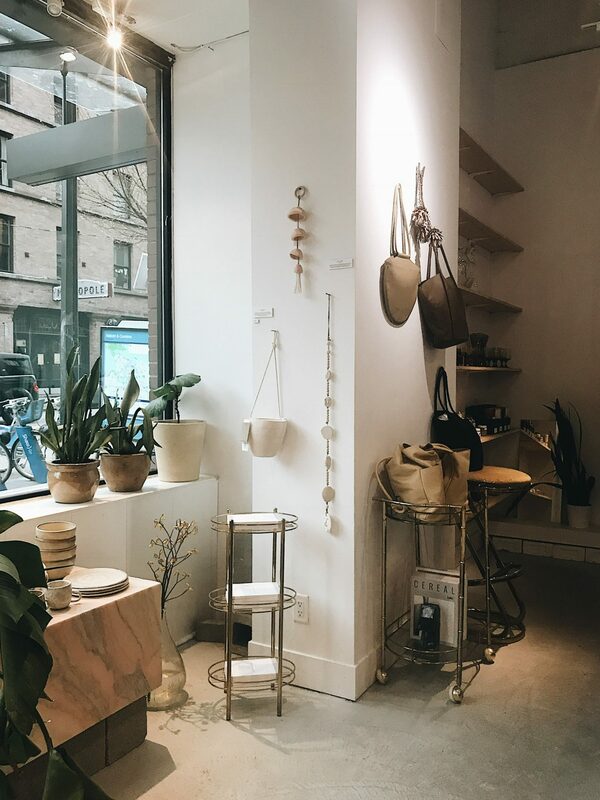 Erin Templeton (Gastown) | A local line of beautiful, minimal handbags. Umeboshi (Main St./Mt. Pleasant) | Shoes, shoes and more amazing shoes! Nineteen Ten (Main St./Mt. Pleasant) | I’ll be revisiting this fabulous gift and homewares shop. 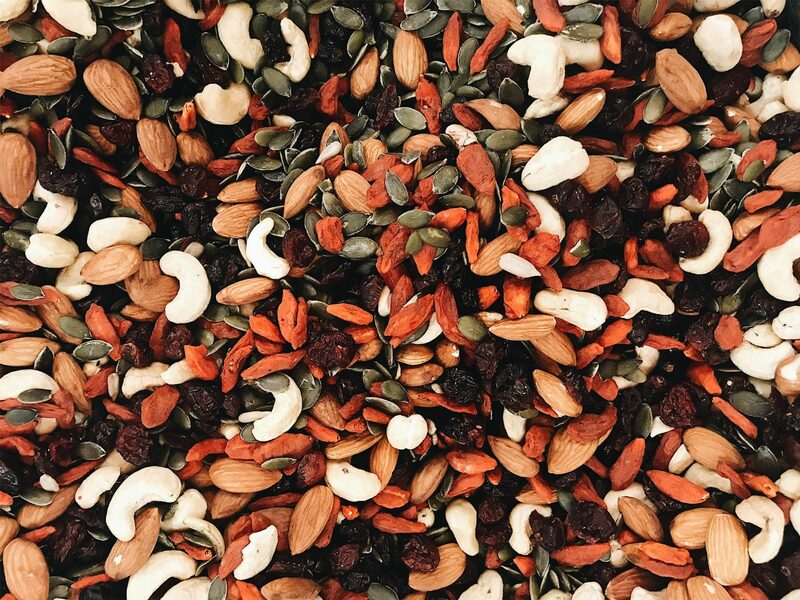 Balance Botanicals (Main St./Mt. Pleasant) | I’ll be stocking up on teas, remedies and vessels from this magical place. 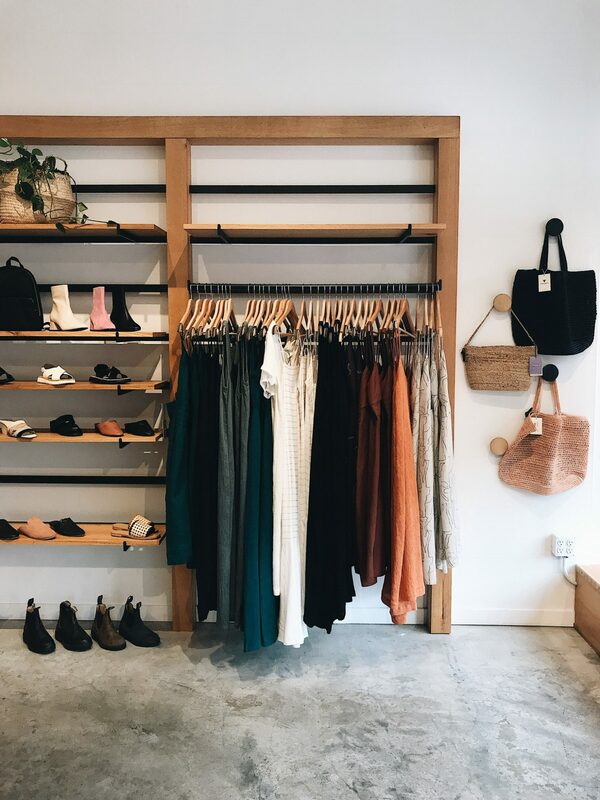 Vancouverites, I’d love to hear your suggestions and favourite spots to shop too! I hope you enjoyed this little shop tour! This post is not sponsored but contains partner links. When you shop via the links above I may receive a small store credit from sales made through my referral link. Thanks for supporting Style Bee! All opinions are always my own. I tried kosas lipstick after seeing one of your posts last year in a deep red colour. 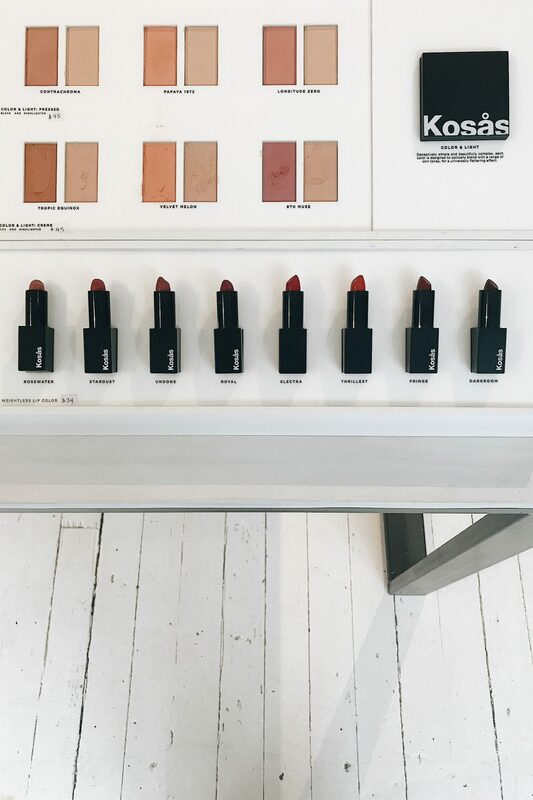 I ended up trying thrillist & I just love their lipsticks now! Thrillist feels like such a perfect, classic, Parisian red to me. I’ve been thinking about getting undone too – how do you think it compares to stardust (if you checked that one out). I also recently bought stardust & love the beautiful orchid shade for spring. Thanks for introducing me to this brand. I’ve been ordering it from the truth beauty company, but do you happen to know if it’s sold in Toronto anywhere? So glad to hear you like Kosas lipstick too Steph! I LOVE Stardust and have alllmost used mine up completely. Undone is similar to Stardust but a deeper colour that has a toasted rose tone to it versus a more pale lavender undertone like Undone. If I were to mix Fringe and Stardust I’d get something close to Undone. It’s been my go-to lately for sure but I really like Thrillest for that perfect Parisienne red too! I don’t see a Toronto stockist on their site but it’s available via Lynn Steven as well and they ship free on $100 + over. 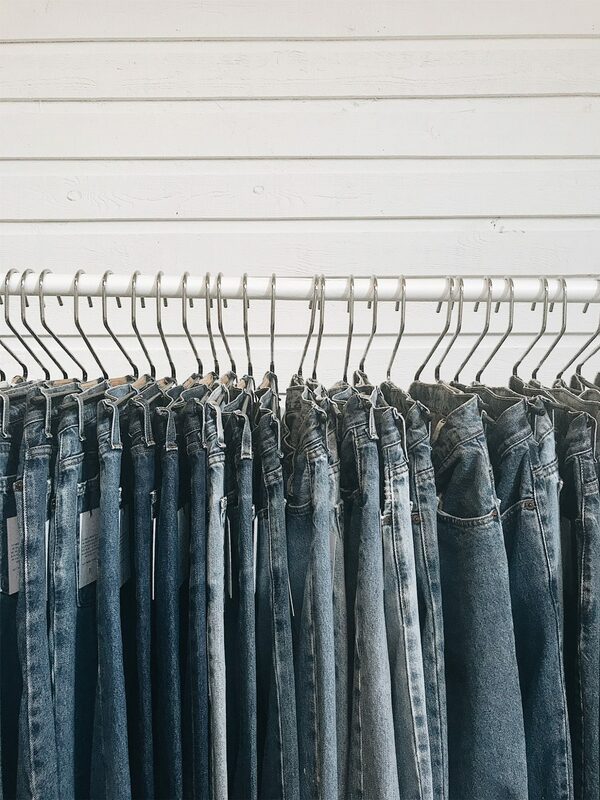 Somewhat off-topic, but thank you for taking a photo of the denim hanging in Hey Jude – I’ve been trying to come up with a slimmer way to hang my jeans, since they are so bulky when thrown over a wooden hanger. That looks like a great way to store them! Hello! I’m super curious as to where your scarf is from. Do you have a link? Thank you! Highly recommend the Birds and the Beets next time you’re around Gastown..their sandwiches are delicious! Have fun. 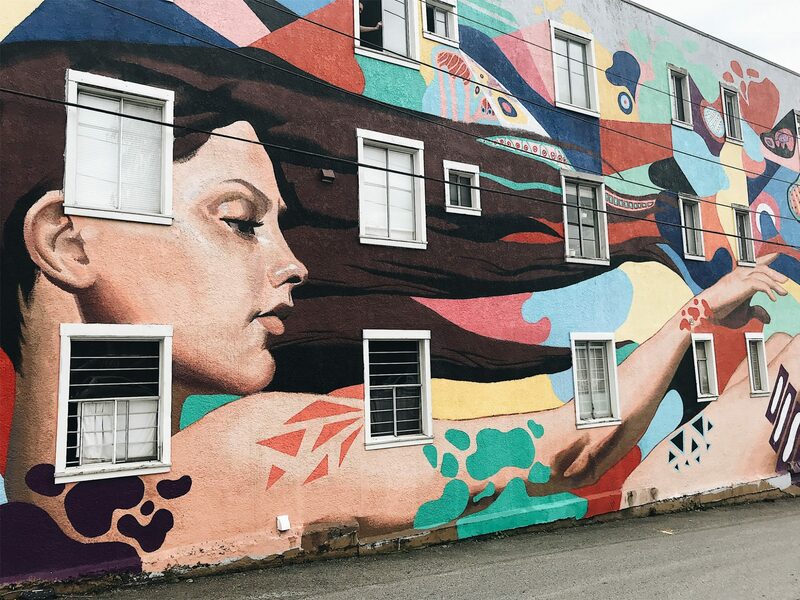 Vancouver is pretty magical! Oh I love the Mt. Pleasant area, going there tomorrow actually 🙂 Thanks so much! Oh gosh.. completely hear you about trying to people-please the people in shops – so glad it isn’t just me! I so adore your color choices for the lips! What is so amazing about Kosas( you have mentioned in prior posts)? May be time to try some out. Wonderful dialogue re: what you wore. Love hearing the thoughts and final choices. Thank you. Going to Mpls this weekend, so am learning to select pieces to pack that are comfortable, classy. Playful, AND in Minnesota….warm! Ha, you had coffee four block from my apartment. I’ve never been into Blondy’s, but I’d recommend Beaucoup Bakery at 6th & Fir as a great place to go for coffee and baked goods. I’d also recommend Nicli Pizzeria in Gastown at Cordova and Columbia for an excellent dinner. 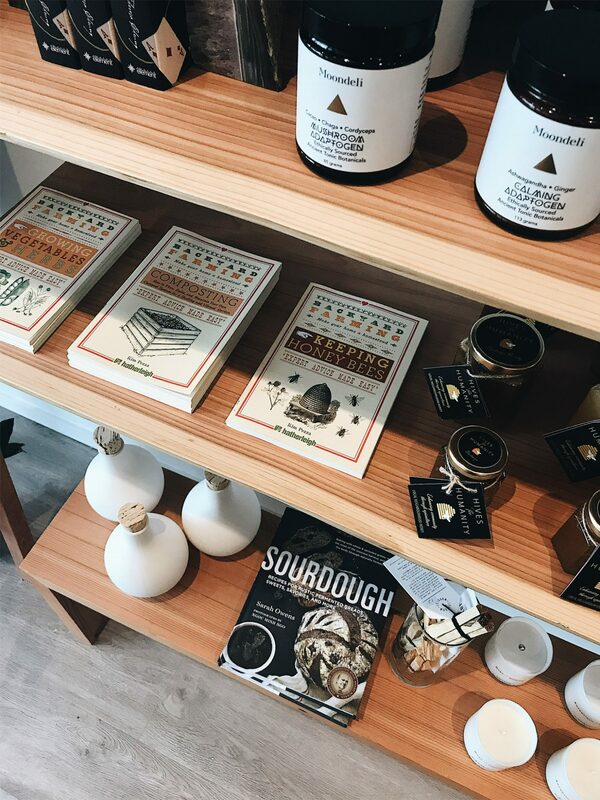 Thanks for the fabulous overview of unique shops in Vancouver! I must say, you were very ambitious to explore so many stores in a variety of Vancouver neighbourhoods in one day! I’ll check some of them out. Thanks for sharing, I really loved following along! 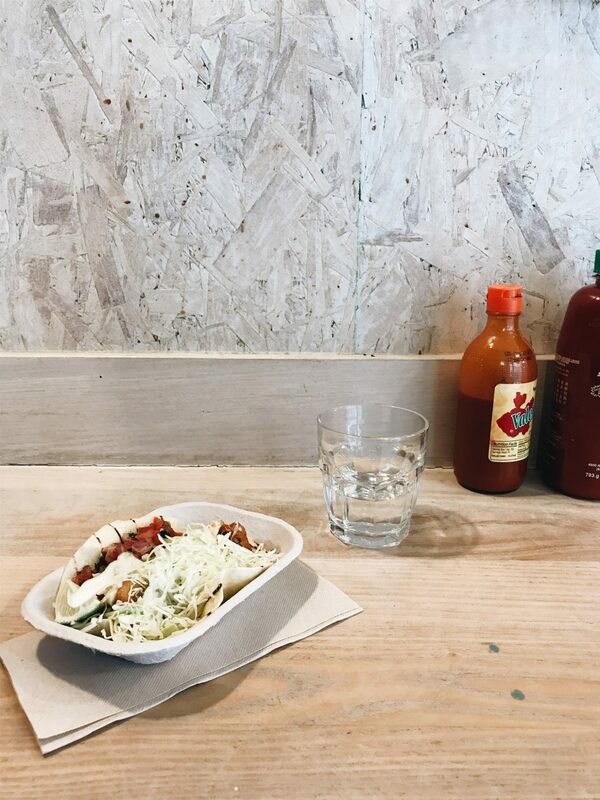 My favorite spot (from afar, I actually live in Quebec…) is definitely Charlie and Lee, and I also love Ad Hoc, but I think it’s a few hours from Vancouver. 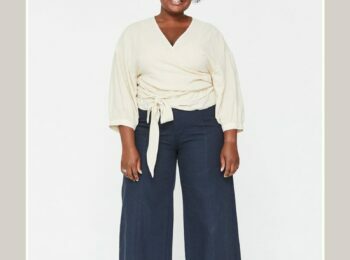 About the Agolde Jamie jeans : I got a pair in size 27 and thought they were a good fit, but they stretched out a lot after only a day or two of wear. They get back to their original shape when I wash them and put them in the dryer, but I prefer not to wash my jeans too often. I’m now considering getting a size 26 even if they will be a bit snug for the first few wears.